Angus and Julia Stone had a nice brother-and-sister thing going on. One song by him, one song by her. Angus channelled 1970s-era Neil Young. Try ‘Yellow Brick Road’ from Down The Way. Julia was the Nicolette Larson figure. A distinctive voice, but in the shadow. Generally, Angus had the more memorable tunes. Julia punctuated them nicely. But you kept going back to his songs. Now, both are solo acts. On paper, Julia has the tougher job. She has a great voice. Slightly breathy. Baby doll. But with the potential to be samey over the course of an album. 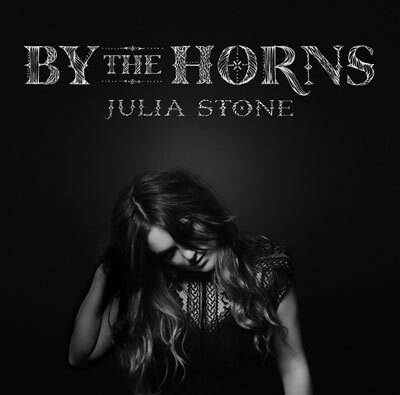 To work, a Julia Stone solo album has to have variation. She has to resist the temptation to swaddle the lovely vocals in a pleasantly strummed guitar and polite percussion in a way that makes any given song sound lovely, but the whole a little anodyne. Variation is what resulted from the collaboration with her brother. Here, there’s a certain range. Nothing too dynamic, but something different to listen to across the album as a whole. And the lyrics say something too. Sure, on one track she really, really wants to live with someone in California. We know because she tells us so often. But the title track gives us more. Here, she sings with real feeling and pretty soon it’s obvious why. ‘You spread your darkness like a disease, Then you offered your body as the only remedy’. Things only get worse. ‘You had me by the horns, You had her in the same bed while it was still warm, My hair was still on the pillow, My clothes were still on the floor’. This is a really nice album. Worth going back to. And, guess what? There’s an Angus Stone album out in a couple of weeks. Watch this space. Posted in Julia Stone and tagged as Music, Review.